TUGUEGARAO CITY, Jan. 6 (PIA) -- Philippine Charity Sweepstakes Office (PCSO) Dir. 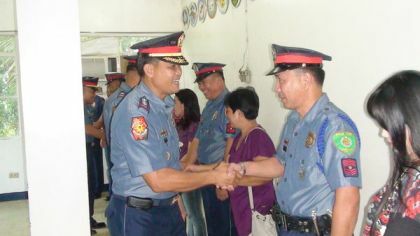 Mabel Mamba has confirmed that the newly established provincial office of the PCSO in Brgy. Naruangan, Tuao, Cagayan will be fully operational this first quarter. Mamba said they are just waiting for the final result of the PCSO rationalization plan. Mamba said the establishment of PCSO in the province is an augmentation to the existing offices in country to ensure that the needs of the people will be catered. program of the Aquino administration,” she added. The PCSO also allocates a five percent share to local government units from the total sales of online lottery (lotto) outlets operating within their jurisdictions, including a documentary stamp tax from the said donation. Medical assistance is given to individual patients through the issuance of guarantee letters to hospitals where the patients are confined.